Designed for field manager, Trimble’s SitePulse™ System allows you to access the same 3D constructible models, GNSS positioning and real-time digital information used by construction surveyors, grade checkers and machine operators on the job site. Designed for and tailored to construction managers who do not have a surveying background, SitePulse has a simple, intuitive interface. With SitePulse, you can make decisions quickly with the ability to access up-to-date data and these decisions can be reinforced with accurate documentation. SitePulse also reduces your dependency on surveyors for simple positioning tasks. Overall, SitePulse can help you increase production, reduce rework and document work quality while improving communications between the field and office. The Trimble® SitePulse System is made up of the SitePulse Software, either a rugged Trimble Site Tablet or a third-party Android device, and your choice of the SPS585, SPS985 or SPS985L GNSS Smart Antenna. 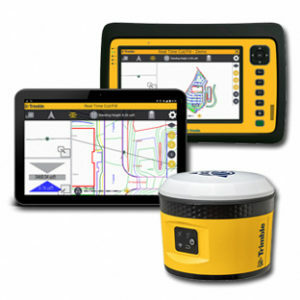 SitePulse is part of the Trimble Connected Site® solutions portfolio and provides you with wireless data sync. Wireless Data sync eliminates the time and costs involved in driving data files back and forth between the office and job site. With SitePulse you can send design changes and issue reports wirelessly. And even if you don’t have a base station on site, SitePulse allows you to broadcast corrections using the Internet through VRS Networks and Trimble Internet Base Station Service (IBSS). When the SitePulse software is combined with GNSS positioning, field managers are able to access feature location information, navigate to points of interest, check for issues and perform basic measuring tasks. Field managers can also capture information and photographs with date and time stamps and link them with a specific GNSS position. The robust reporting features of SitePulse help create an audit trail of the field manager’s day-to-day activities and can be used to capture issues in the field along with design changes and completed tasks to help keep the office up to date and enable fast decision-making.